To celebrate the upcoming Thanksgiving, Black Friday, Small Business Saturday and Cyber Monday Holiday shopping weekend, we're hosting our annual two week long FYSF giveaway for a $50 GC to our store! 11/09/18 FYSF, Win a Non-Toxic Oral Care Set! Today's FYSF Giveaway is not cloth diaper related. 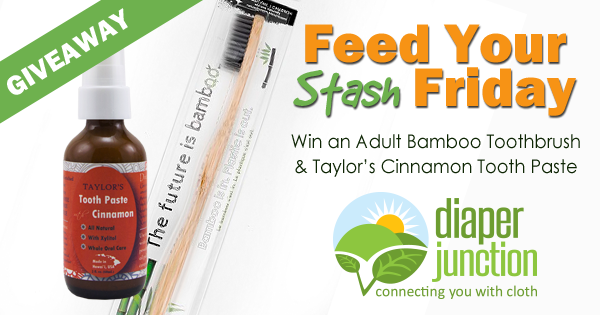 Enter to win a 'The Future is Bamboo' Toothbrush and 'Taylors' Tooth Paste! 11/2/18 FYSF, Win a Meal Time Set featuring Marley's Monsters, EZPZ and more! Today's FYSF Giveaway features some of our favorite new and old mealtime essentials for your little one! 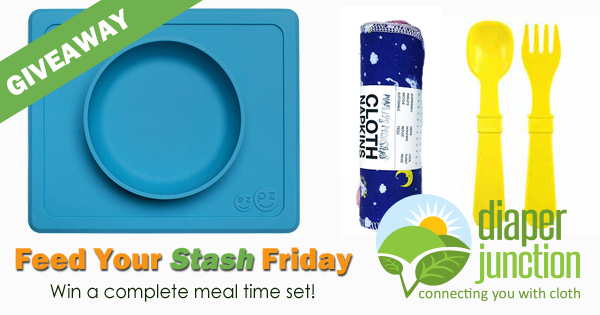 Enter to win a rePlay Recycled Fork & Spoon Set, Marley's Monsters Cloth Napkins and an EZPZ Mini Bowl!